Students are accepted for individual lessons throughout the entire academic year. The Conservatory is an excellent venue for the development of those students who plan professional careers either as a teacher, performer or composer or, for those pursuing music mainly for their own personal enjoyment. Students who wish to join a theory class already in progress will need to consult with the instructor and will be granted entry based on an interview with the instructor and/or a theory assessment examination. All students must register at the start of the term and registration fees are payable by all students, both returning and new. Students currently enrolled at the Conservatory who wish to keep the same time for their weekly private lesson for the following year should register before June 15th of each year to guarantee placement. The consultation lesson gives the student an opportunity to meet with the prospective teacher and to discuss the students’ goals. The lesson will give the teacher a chance to hear the student sing and explain how the lessons will be conducted. The teacher will also evaluate the student’s sight-singing and aural recognition ability. The consultation lesson is 30 minutes long and is required for all vocal students, regardless of their skill level. A fee of $30.00 is payable before the consultation lesson is given. During the months from September to June, all lesson fees are payable in advance through a series of monthly post-dated cheques dated the 1st of each month, until June OR, payment may be made with ONE cheque to cover the entire amount from the start date of lessons until the end of the term. The end of the term may vary depending on the course. Regardless, lesson fees are to be paid in full until the end of the term. Registration will not be accepted and lessons will not begin until full payment has been received by the BCCM office. Fees paid in advance for entire term or year. Payment is required for the entire term or year in advance in order to secure the student’s time on the schedule for their weekly lessons. BCCM is registered with the British Columbia Ministry of Education as a post-secondary institute which enables it to issue tax-deductible receipts to registered students in accordance with Revenue Canada guidelines. Students, regardless of age, studying the British Columbia Conservatory of Music curriculum, are eligible to claim the tuition fees paid for lessons and examinations. Further, students may transfer up to $5000 per year to a parent. The tax saving for the person who owes federal and provincial income tax is about one fifth of the expense claimed. Students are expected to be on time for their lessons. No extension of lesson time will be granted to those who are late. Students are expected to attend their lessons regularly, on a weekly basis. If a student gives notification of the inability to attend a lesson we regret that there will be no refund or a reduction of fees. In the event of an unavoidable absence by the student, such as accident or illness (a Doctor’s note required), a minimum of 24 hours notice must be given to the teacher, of the student’s inability to attend a lesson in order for a makeup lesson to be considered. Any missed lesson time, if warranted, must be made up before the end of the school year (June 30). Missed lesson time can not be “banked” for credit and will not be rolled-over to the summer months. If a lesson is cancelled by the teacher, it will be made up at a mutually convenient time for the student and the teacher. Check with your teacher regarding their studio policy about the number of makeup lessons allowed during the course of the school year. Due to the nature of a strict theory course calendar, there are no makeup lessons available for class theory lessons of two or more students and fees are not reduced for missed lessons. However, students will be given a copy of all notes or handouts that were used during the class. In the event lessons are to be discontinued, 30 days notice in writing via email or hand written form is required to be given to both the teacher and the office. Notification must be given on or before the first lesson of the month and the 30-day period will commence from the first lesson of the month. In lieu of 30 days notice, one month of fees is required. 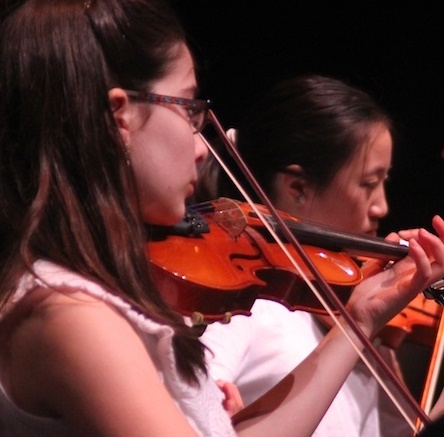 The BC Conservatory of Music is open for instruction all year round with the regular school year being from September 1st to June 30th and Summer School from July 1st to August 26th, this coming year. Each year school resumes for class and private lessons on the first day after Labour Day. The Conservatory is open on most statutory holidays and students are expected to attend lessons at their regular scheduled time unless arrangements have been made in advance directly with the teacher to have the lesson re-scheduled to another day.